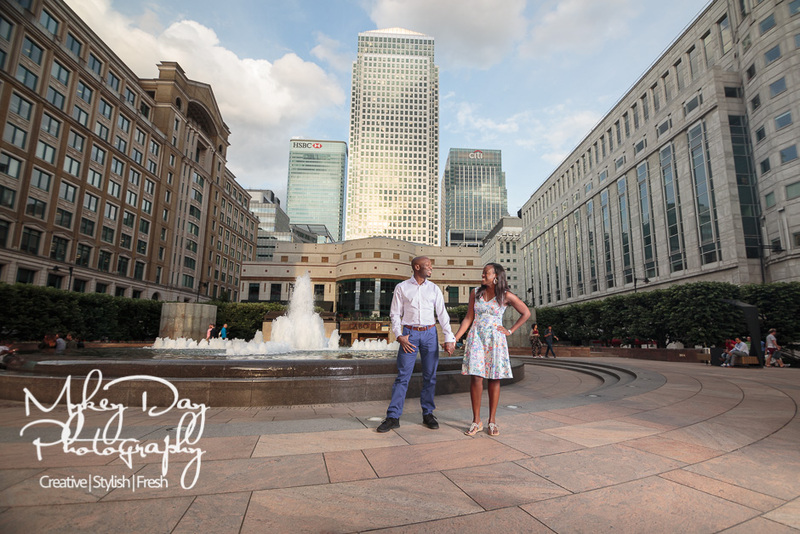 Canary Wharf is a fantastic location for pre-wedding engagement photos, but it’s not the easiest of places to get permission! 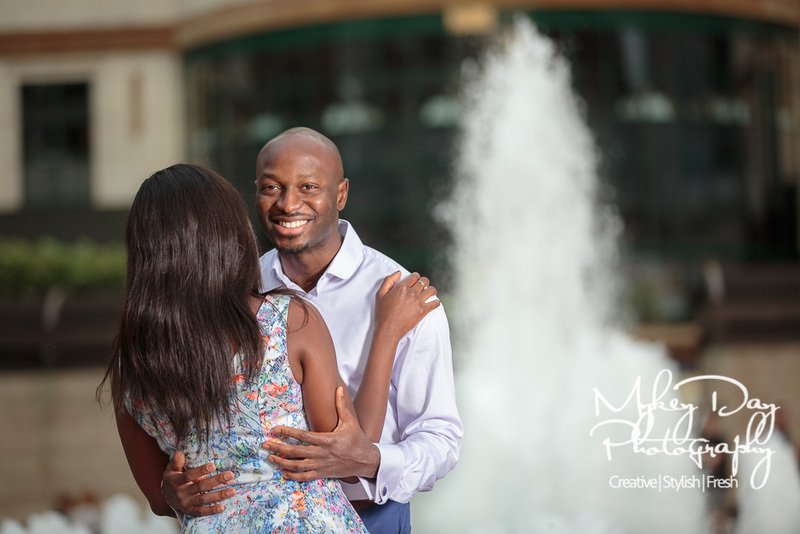 We were so excited when Michelle & Tobi asked us to shoot their wedding and then took advantage of an engagement session to get used to working with us before their big wedding at the Powder Mills Hotel in Battle. 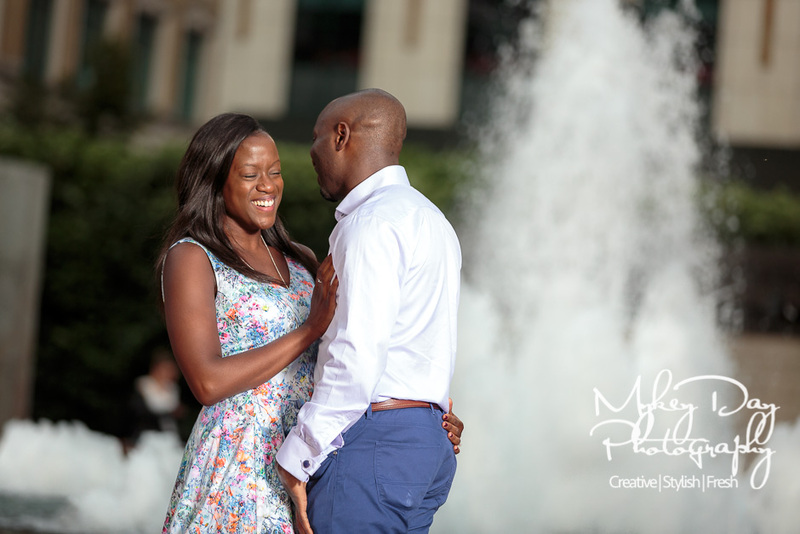 Tobi & Michelle (wedding hashtag: #ToMi ) first found us through facebook when looking for their ideal photographer for their wedding at the PowderMills Hotel in Battle, near Hasting. 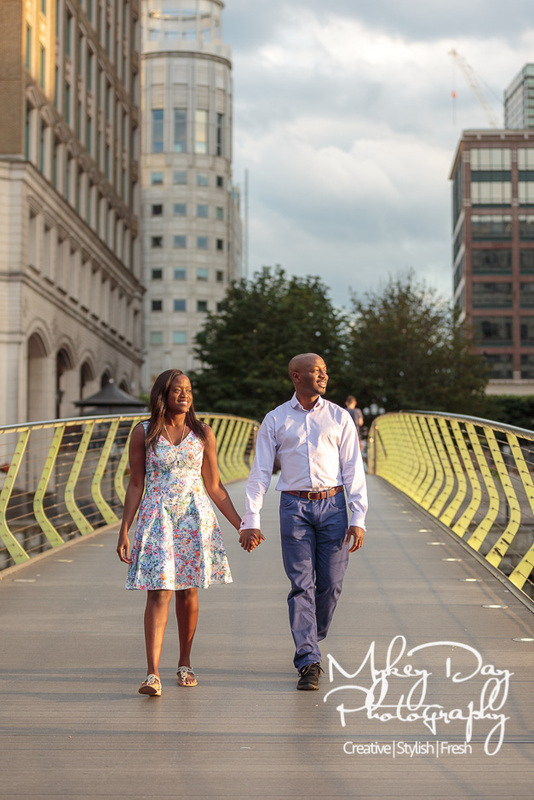 Pre-wedding engagement photos were something they were very keen on to get to know us and to get to know our style – as well as pick up a few tips and tricks on how to look amazing before their wedding day. 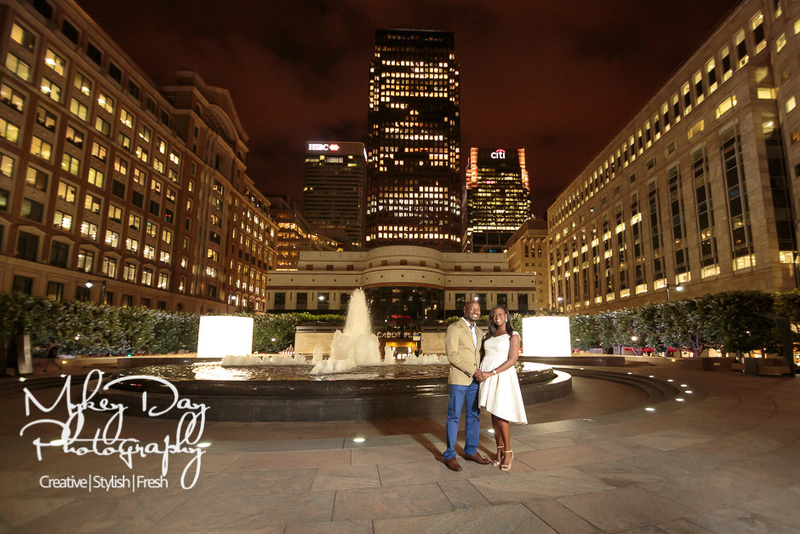 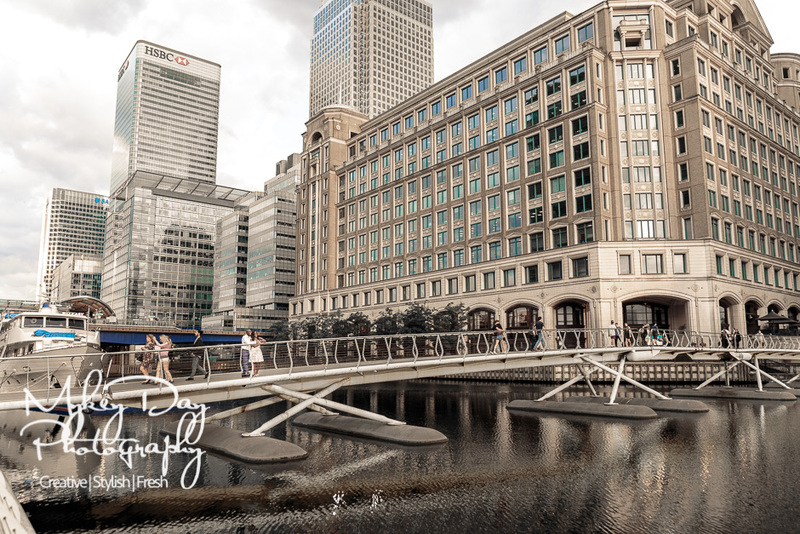 Canary Wharf is a stunning location for pre-wedding photos and engagement sessions, however being that it is private land – and also a very high profile public sport, we definitely needed permission to shoot there. 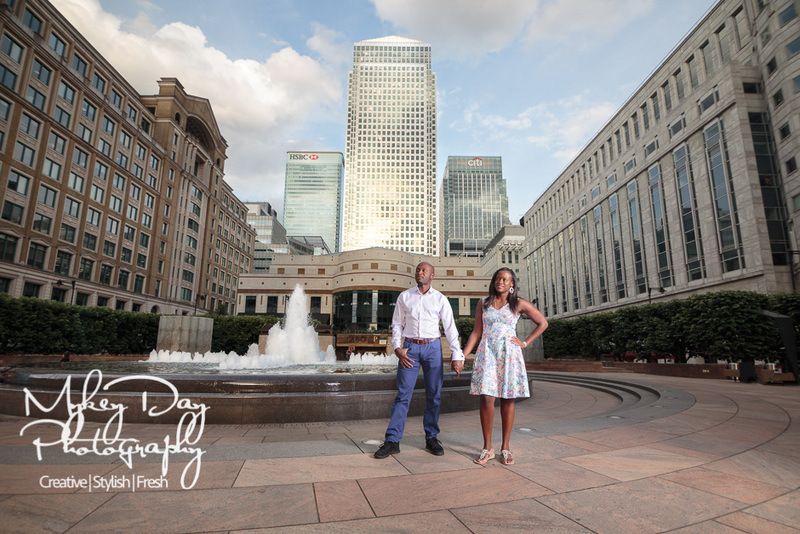 When Michelle first contacted us about it, our first reaction was that we’d love to shoot there, however we’d absolutely need a photography permit from the official Canary Wharf Company to allow us access and the rights to shoot there. 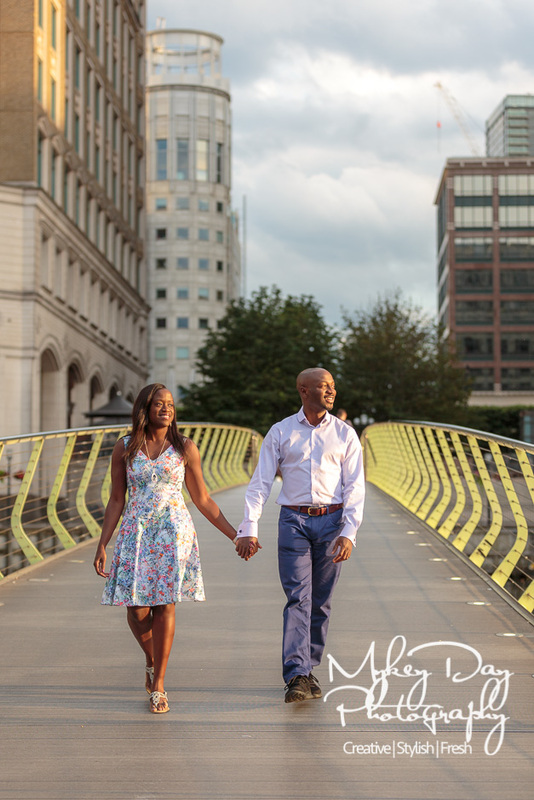 We’ve known other photographers who have just turned up and ‘hope for the best’ but were quickly asked to stop or leave by the very hot security staff on hand. 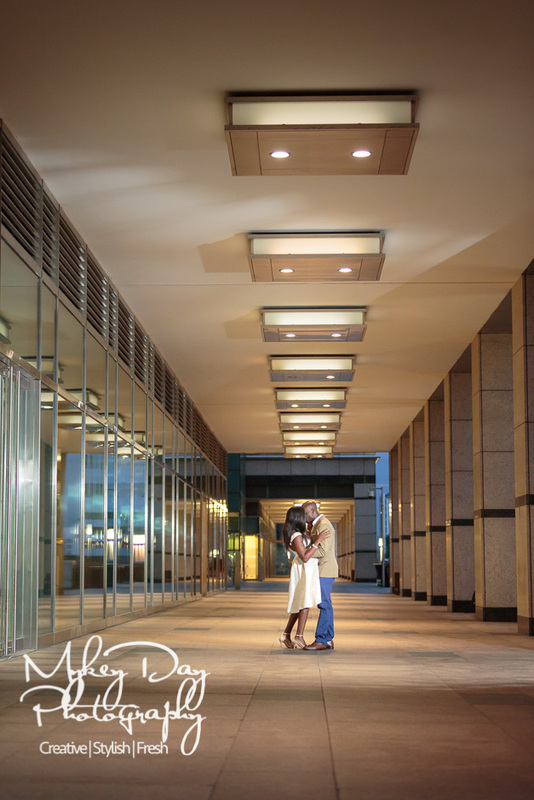 They were so on-the-ball in fact, that we were stopped no less than 5 times during our 2-3 hour engagement session! 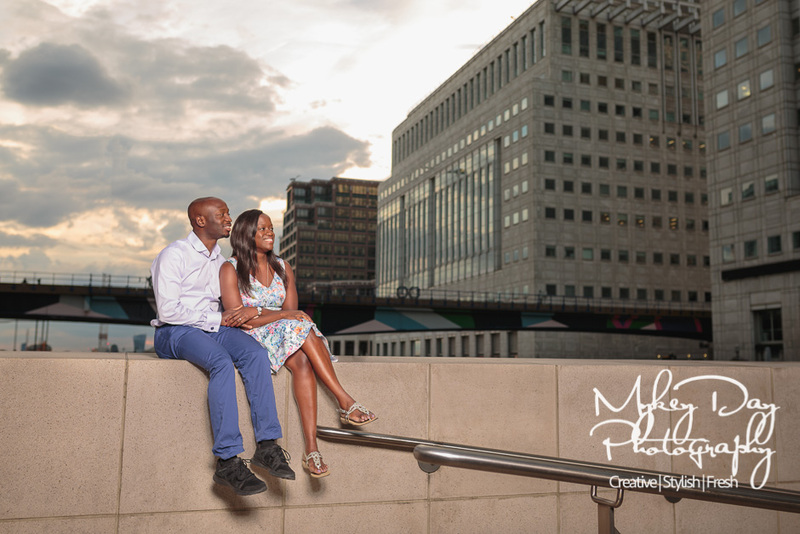 We hate to say not to our clients, but we would hate it even more if we were stopped during the shoot and Michelle & Tobi were not allowed the lovely photos they wanted. 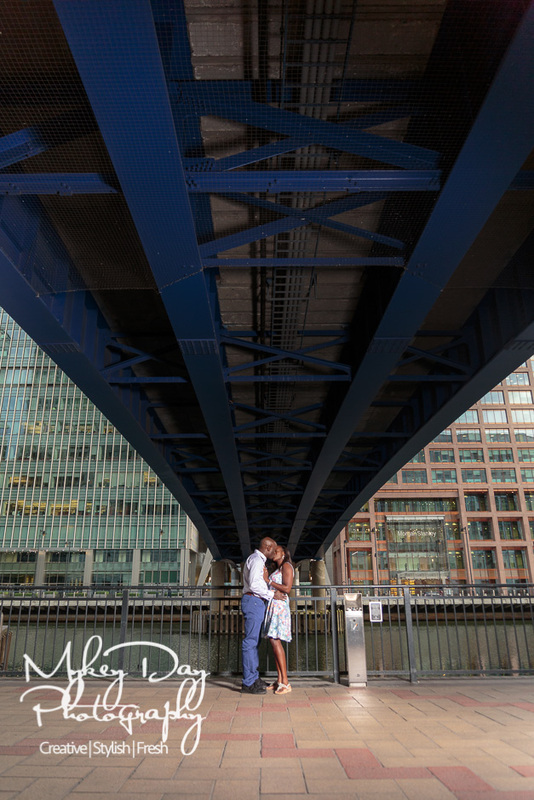 The reason Michelle was keen to shoot here is that not only was this where they first met, it is also where they had their first date and where Tobi proposed!! 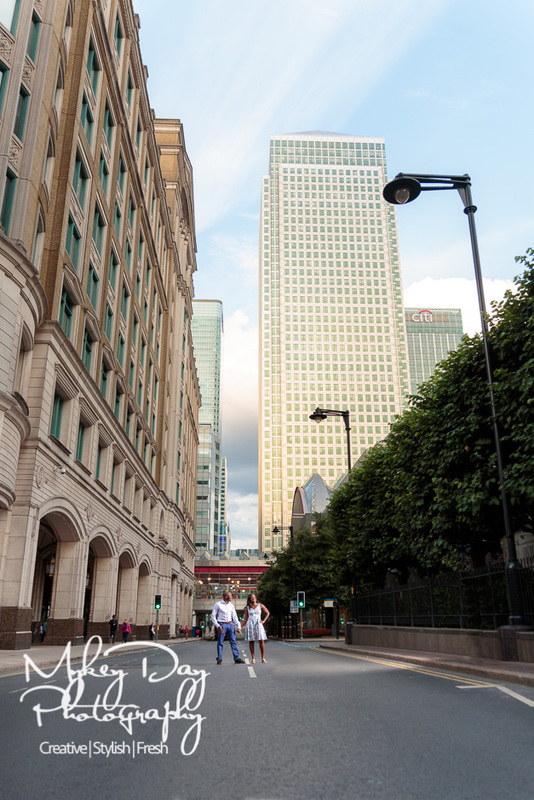 As such Michelle was unperturbed, and being that she worked at Canary Wharf she contacted the relevant authorities and pleaded her case – and using that feminine know-how replied to us in less than a day with the permit attached and the amazing phrase: “Will this do?” How awesome was that? 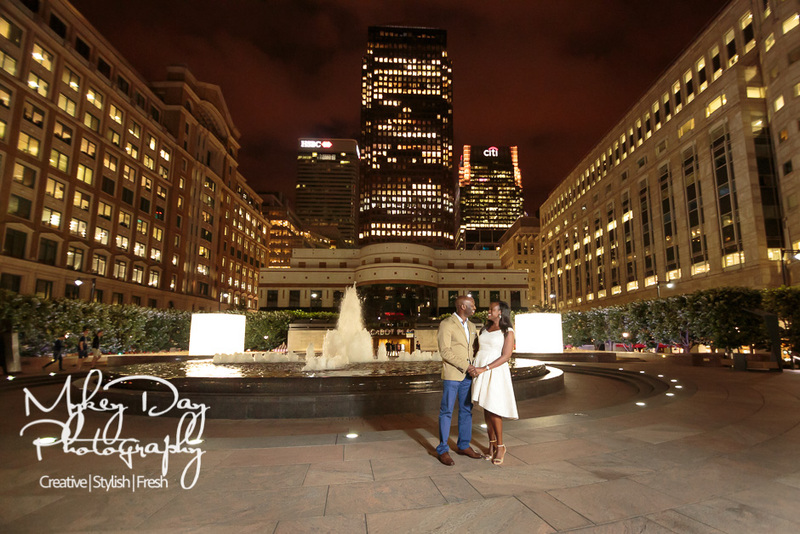 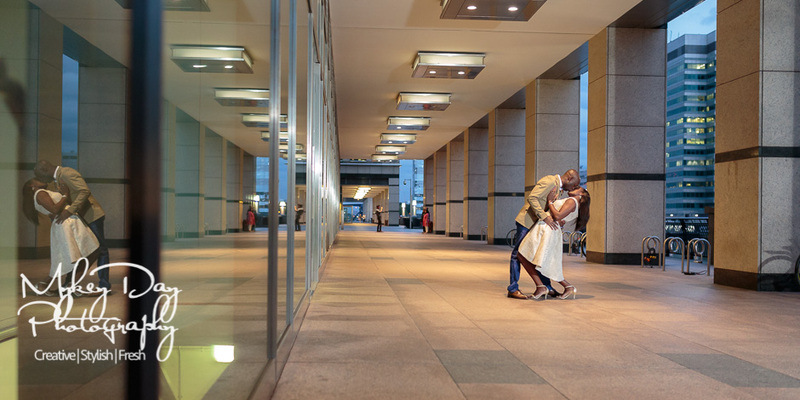 We planned and arranged for a late evening and twilight photography session, taking in the wonderful architecture of Canary Wharf both during Golden Hour, and in the night with wonderful night-time lights of Canary Wharf as backdrop to this beautiful couple. 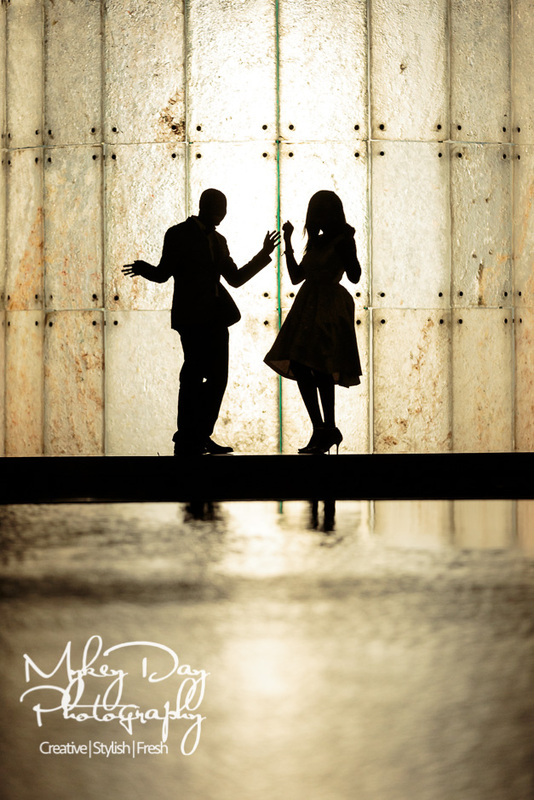 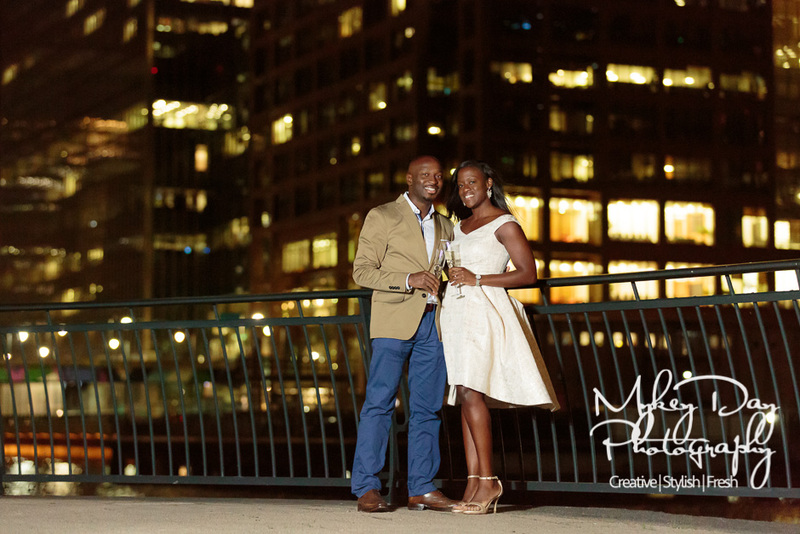 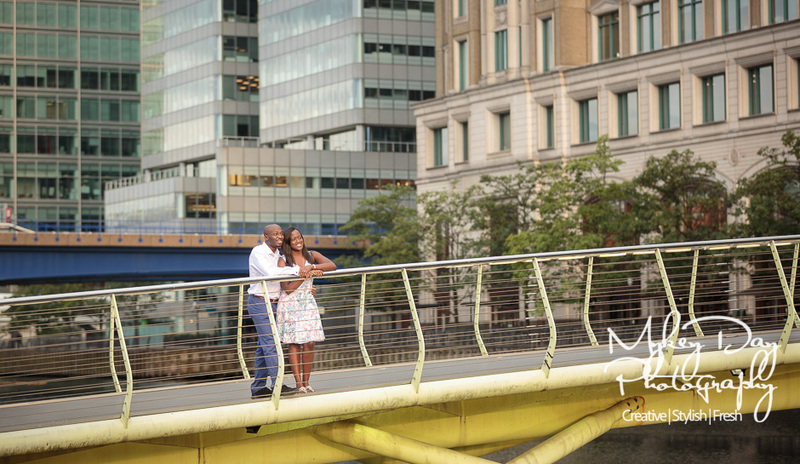 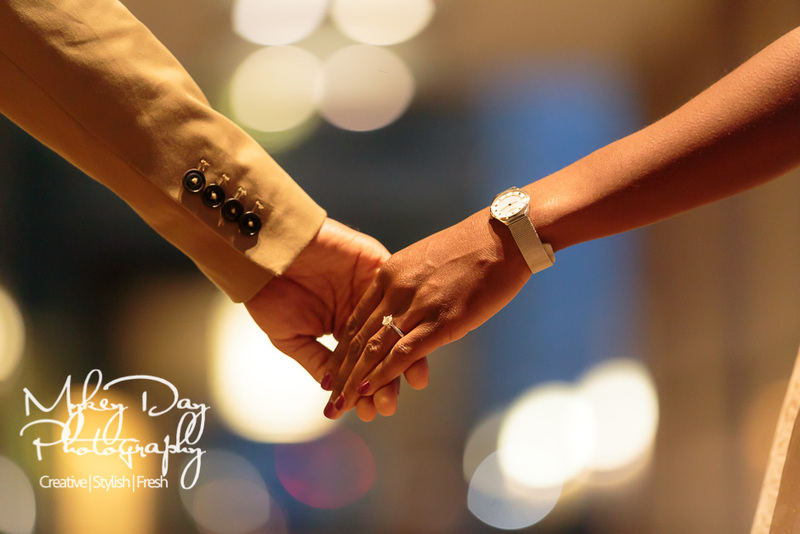 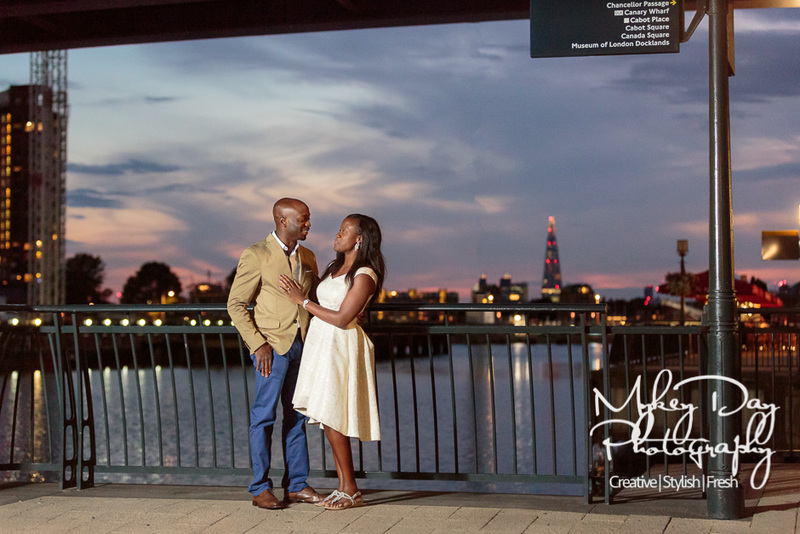 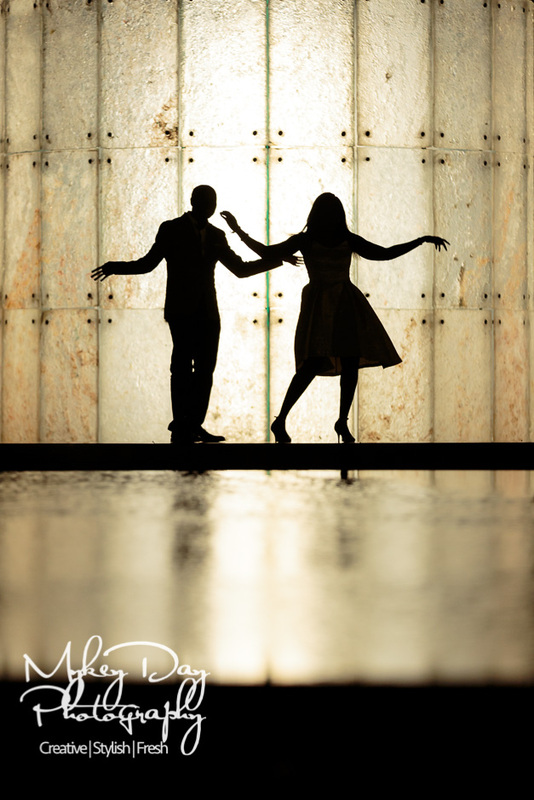 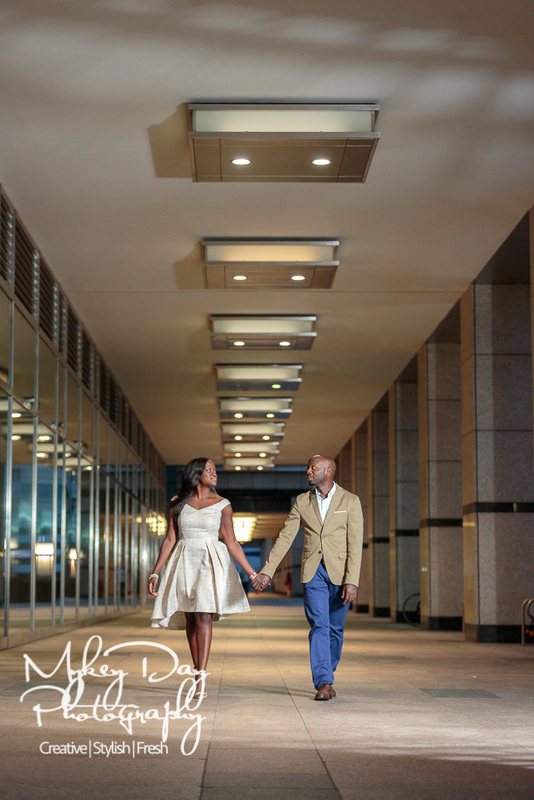 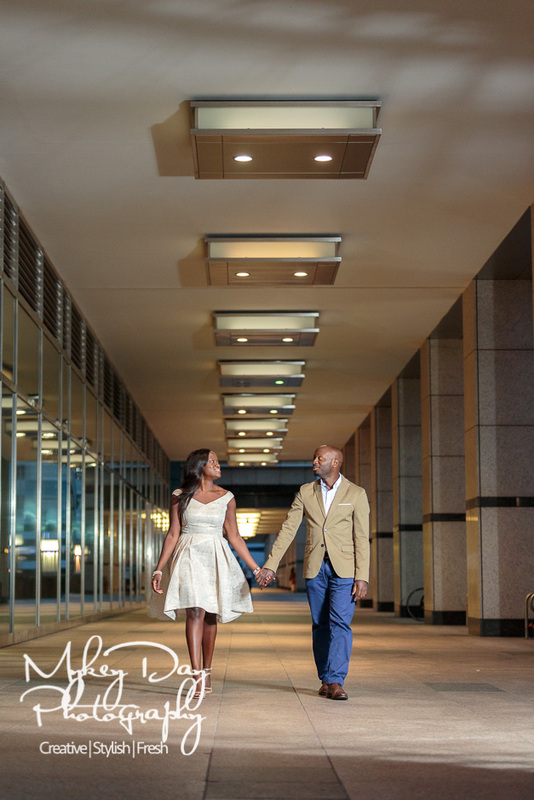 Please see below for our favourites from Michelle & Tobi’s pre-wedding engagement photo session!